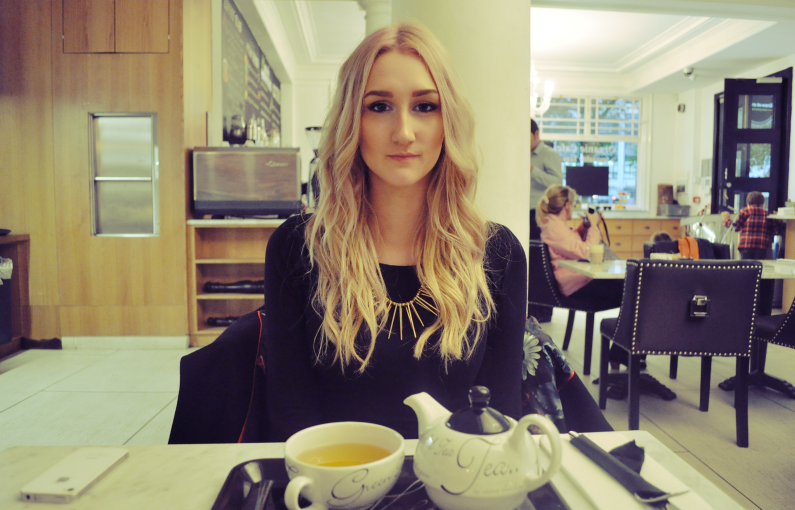 The other day me and my friend Laura were in Kensington and decided after a long hard day of shopping we needed a tea break! 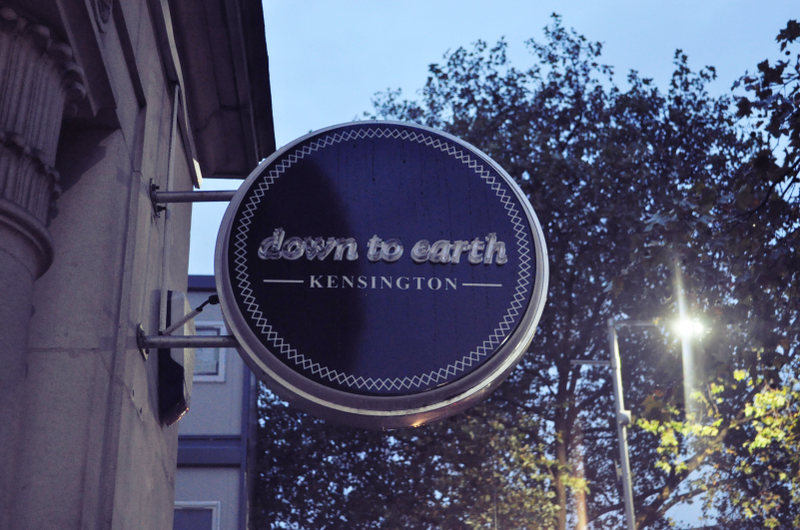 We were walking along looking for somewhere a little more exciting than your average Costa or Starbucks and came across 'Down to Earth'. 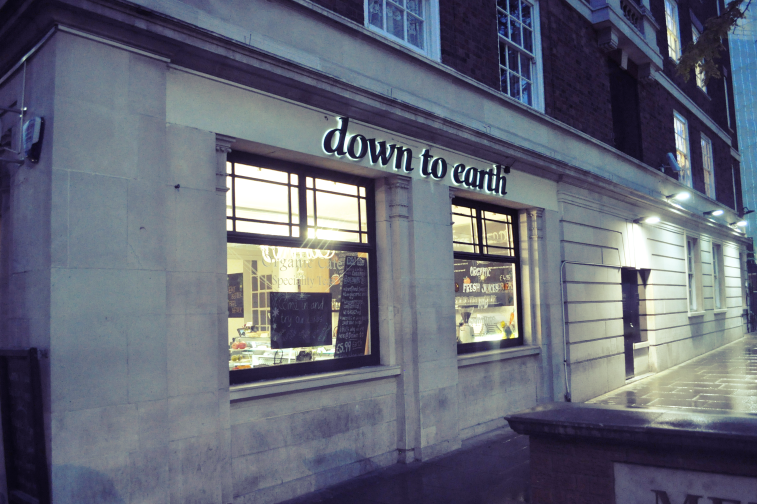 'Down to Earth is a darling little organic vegetarian cafe/restaurant towards the Holland Park end of Kensington High Street! 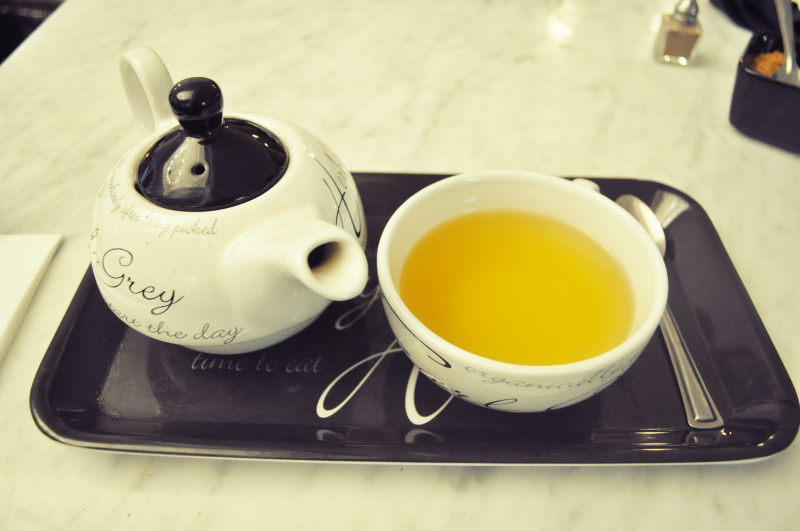 The visit was such a pleasant experience. 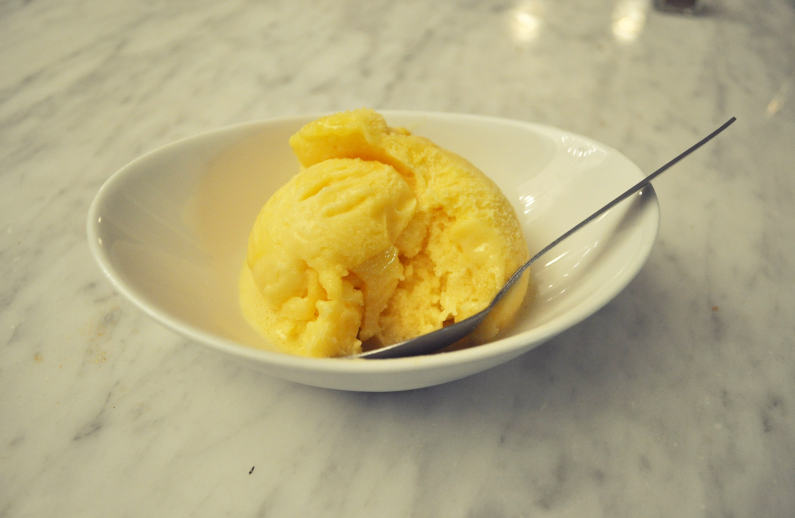 Although we only stopped for tea and sorbet (which should definitely be the new thing everywhere) it was obvious that the quality and care over presentation and taste was entirely thought out! 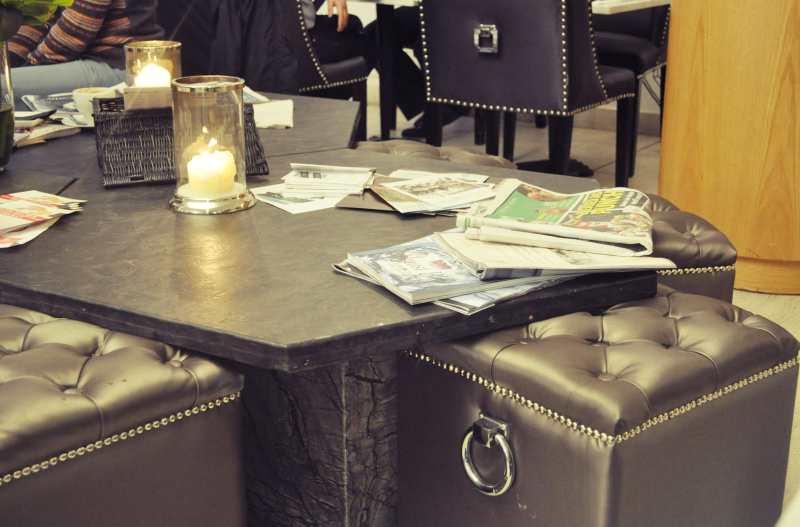 The atmosphere inside was quite literally 'down to earth' with a table full of magazines and newspapers in the center if you fancied a Vogue with your lunch! 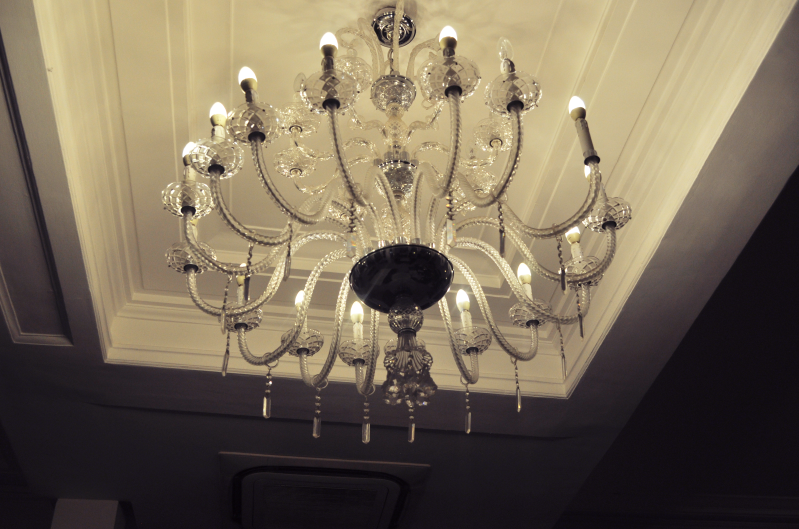 The Decor was also marvelous, the windows were large although not restricting privacy, the colour theme was very much simple with black being the predominant colour for the chic furniture, and above the tables looms a large chandelier. All in all the experience at 'Down to Earth' was a brilliant one, I will definitely be returning when I'm next in the area!